32 miles from Bald Head Island, Frying Pan Tower is a decommissioned lighthouse off the southeast coast of North Carolina. Only accessible by helicopter or boat, Frying Pan Tower is also host to three live cameras that are currently broadcasting the coming storm. 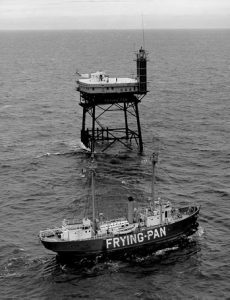 Bearing a close resemblance to an oil drilling platform, Frying Pan’s “Texas tower” was originally constructed to serve as a navigational aid and Coast Guard station. The tower marks Frying Pan shoals and the confluence of the Cape Fear River — and when the navigational tower light was replaced by a buoy in 2003, the site was sold at private auction. The tower currently functions as “a bed and breakfast for the adventurous,” but no reservations are required to check out the three cameras that are still streaming live in the path of Hurricane Florence. One sits on top of the tower. Another camera is facing the ocean from the middle level. The third camera is placed underwater, in view of the artificial reef created by the presence of the tower. BONUS: A fourth, very popular on social media right now, shows a pier in Atlantic Beach taking a beating! 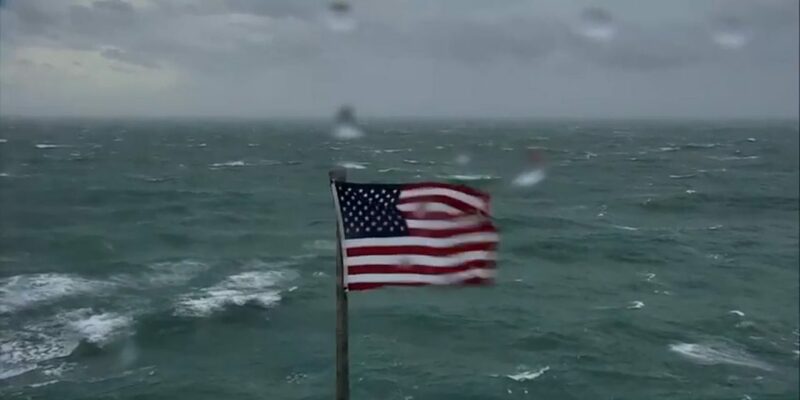 Each camera offers a different perspective as Hurricane Florence prepares to make landfall, giving a glimpse into the incredible power of the storm that is barreling toward the Carolina coast.